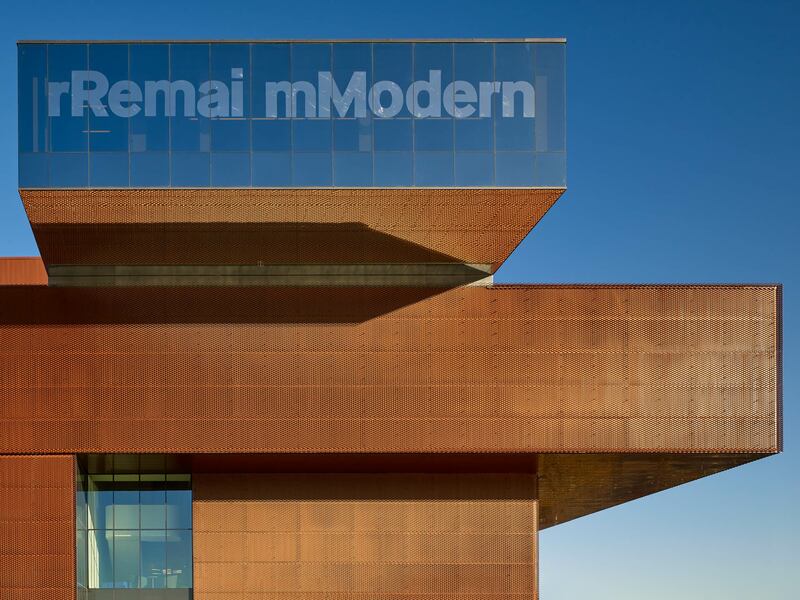 Remai Modern is the name of the new art gallery in Saskatoon. The city wanted an architectural and structural icon. Philanthropist Ellen Remai made that possible with an amazing donation for the construction and operation; the largest art donation in the Canadian history. The building reflects the flat prairie landscape. Copper-colored metal fabric dresses parts of the outer walls, while the remaining walls are made of glass and offer an exceptional view to the nearby Saskatoon River. 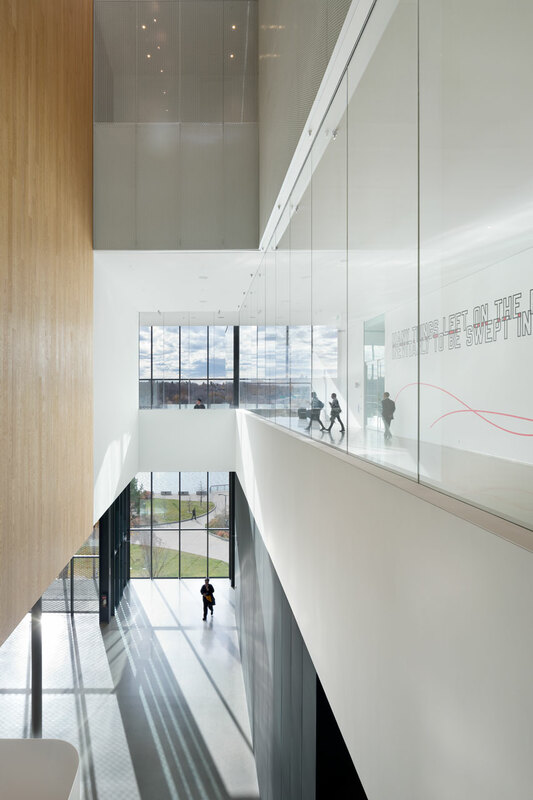 A large staircase in the main atrium invites visitors into the galleries, which show both international and Canadian art. Art galleries consume significant amounts of energy for lighting and to meet the requirements of temperature, humidity and air quality to comply with standards for conservation and to avoid any risk to the artwork. Nonetheless, well thought-out architecture and technology make it possible to comply with the requirements while at the same time having minimized energy needs for operation. It is mandatory that the concept is adapted to local climatic conditions. 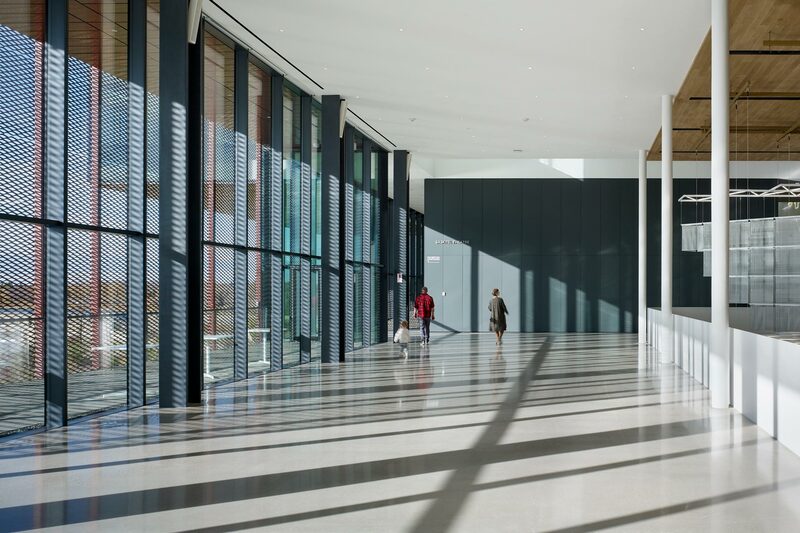 The building is designed in a way to offer the best view to the south, as well as to allow that enough light and passive solar heat gains may enter the building. High rooms and an atrium provide plenty of natural light. When the sun is low in winter, it passively provides warmth. In summer, however, overhangs and shadows block the high sun. Underfloor heating and cooling along the facade combined with fresh air units provide comfort. The gallery areas are either separated from the facade (house in the house concept), or have no glass facades, where condensate could occur in an extreme winter, that would require that glass facades are washed with a forced air system. An increased insulation standard and an additional triple glazing minimize heat losses. The atrium is an important part of the climate system, which integrates passive solar gains into the ventilation strategy. Decentralized ventilation systems - assigned to the individual galleries - enable a demand controlled conditioning. Fresh air is taken from the atrium so that the air is cascading through the building. Compared to other art galleries, the energy consumption for this gallery is predicted around 50% lower despite the extremely cold Saskatoon winter conditions, without exposing the artworks to any risks.